Lost cities are cities that have been built by different empires during the course of history and subsequently abandoned and forgotten for long. Most of these cities are later rediscovered through research by enthusiastic archaeologists or by accident when some wanderers stumble upon the remains of the city. Lost cities evoke a sense of wonder, mystery, and grandeur and make people starkly aware of passing time. Perhaps this is why they are such popular tourist attractions. Here is a list of the 10 most incredible lost cities of the world. Machu Picchu is an ancient city of the Inca period and is located on top of the Urubamba hill in Peru. It has been declared as a UNESCO World Heritage Site in 1983 and since then has gained popularity as a tourist destination. This city was built around the 1450s and was abandoned only 100 years later due to the Spanish invasion of South America. It is also known as the ‘Lost City of the Incas”. Most of the structures are still intact and this city has been extensively studied to learn more about the Incan culture. The whole compound contains 100 separate flights of stairs and all individual staircases were carved with one slab of stone. Before 1911, it was known locally until Yale Professor Hiram Bingham re-discovered in the year 1911. He has also written one book named “The Lost City of the Incas” that contains his findings. The lost city is an astronomical observatory and the stones so accurately that indicates the two equinoxes. Twice a year, the sun sits directly over the stone and creates no shadow. The Angkor Wat Complex is one of the largest Hindu temples around the world that dates back to the 12th century. It was built by Khmer King Suryavarman 2 in the early 12th century as the official temples of the state. The King was later buried here. Though it was initially a Hindu Temple, today is a Buddhist structure and also appears on the flag of Cambodia. It draws many foreign and domestic tourists and was declared a World Heritage Site in 1992. The monument is the best representation of the classical style of Khmer architecture. It has been built to represent Mount Meru (home of the Hindu Mythology lord of Brahma and the demi-god devtas). Before the 16th century, it is known by the name Pisnulok which is the official title of the Khmer king Suryavarman II that built it. Approximately 50% of international tourist visit Cambodia to see the religious monuments. It is also seen featured on the national flag of the country. The monument site received approximately 2 million visitors annually because of its beauty and its divinity that can only be found in Incan and Mayan holy shrines. Pompeii is perhaps one of the most famous lost cities in the world and was buried under the volcanic ash when Mount Vesuvius erupted. Some of the people of this city escaped while several were buried and their remains were later found in the 18th century when the city was rediscovered. The volcano is still active and the site is one of the most famous tourist attractions in Italy today. The city is also studied to find out about the way of life that existed 2000 years ago, during the Roman Empire. Related: 7 Most Amazing Pyramids in Mexico. Petra is an ancient city located in the valleys of Jordan and was established in 312 BC. It is also known as the Rose City since most of the structures in this abandoned city have been carved out of pink stone. This city is known for the beautiful rock-cut architecture and the ingenious ways used in to carry water and is one of the most famous lost cities in the world. It was a vital stop on the silk route but was abandoned shortly after it was built since a series of earthquakes disrupted the water supply to Petra, forcing the residents to emigrate. It is also listed as one of the spectacular Wonders of the World. The treasury of the amazing architecture is most popular and is estimated to be over 2,000 years old but the Bedouin of the Arabian Desert have destroyed some of the most priceless carvings on the Treasury’s walls. They have used these carvings has been used as a target for shooting purpose. The structure of the Petra Archaeological site has been weakened by the salt that blows away from the dead sea and which crystallizes on the building’s columns. It is predicted that the monument has been built during the Byzantine Era of the 5th and 6th AD when Petra became an important Christian centre. The lost city of Tilak belongs to the Mayan era and may seem very remote today, but before the 4th century, it was the capital of one of the most powerful Mayan rulers. This dynasty was defeated by the Teotihuacan in the 4th century and this began the six-century-long journey of the city’s decline. It was finally abandoned in the 10th century. Today Tikal is one of the largest and most well-preserved Mayan sites and is being studied to find out the exact purpose of the pyramid-shaped temples. It is also a very popular tourist destination in Guatemala. One of the largest archaeological sites and lost cities in the world is considered to be the urban centres of the pre-Columbian Maya Civilization. The word Tikal is derived from the word ti ak’al in the Yucatec Maya language and its meaning is “at the waterhole”. The site is built from limestone that includes the remains of temples that tower over 70 meters high with large palaces and a number of smaller pyramids, platforms and inscribed stone monuments. This is probably one of the most enigmatic lost cities in the world since its original builders are unknown today. The city is a large urban complex stretching to over 20 square kilometres with many distinctive pyramids and t its peak could have housed over a hundred thousand people. The city was abandoned about 1,400 years ago and taken over by the Aztecs much later. The current name was given by the Aztecs. Apart from the pyramids, the has significant complexes and multi-family residential compounds known as the Avenue of the Dead. Also, small portions of its vibrant murals that have been exceptionally well-preserved. It is believed that the city has been built in 100 BC with major buildings in construction until 250 AD. The city has been until between the 7th and 8th centuries AD, however, major monuments have been sacked and burned around 550 AD. This lost city is located near the famous Lake Titicaca in Bolivia and is one of the largest ancient cities in the country. It is estimated that anywhere between ten and thirty thousand people could have been living in this city. However, this city was abandoned soon after it was built due to unfavourable climate. Despite the availability of water, the city could not produce enough food to sustain its residents and it soon had to be abandoned. Many of the structures of this city are well preserved till today. The local people have arrived in the area around 200 BC, however city decline began at about 900 AD and it was totally abandoned until the turn of the millennium. It is believed that the severe drought has hit the region and that lasted for generations. It resulted in crop failures caused inhabitants to either migrate or starve. Another Mayan lost city in Mexico, this archaeological site is located in the south of the country. 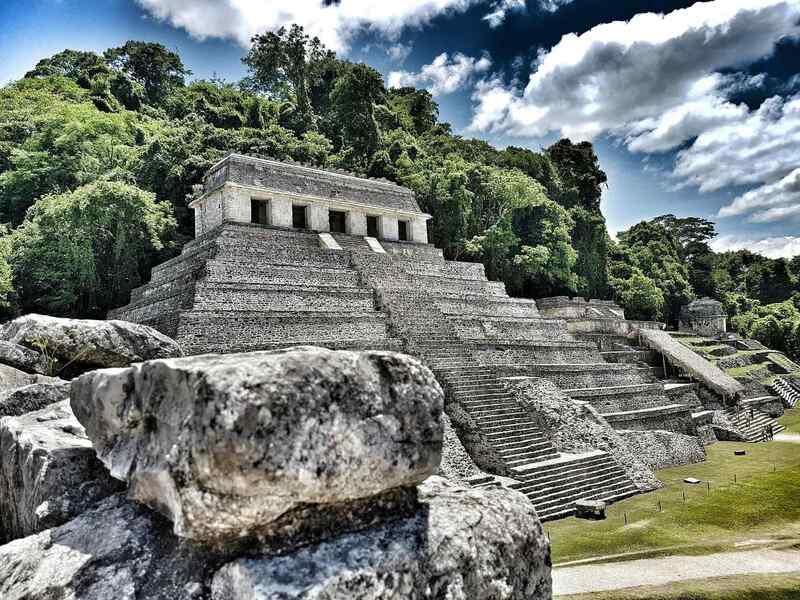 It can be dated back to the 7th century which was the peak of Mayan rule but was abandoned due to unknown reasons. For centuries, it was forgotten and engulfed by forests. It was rediscovered in the 19th century and systematically excavated, restored and converted into a tourist attraction. 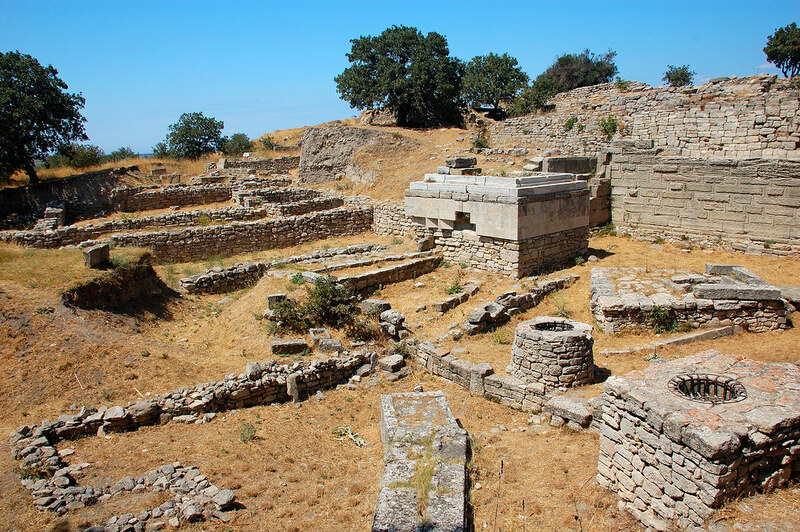 For a very long time, Troy was thought to be a mythical lost city mentioned only in Greek classics like Iliad but in 1860, an excavation in the coastal town of Anatolia found the remains of what is now confirmed as Troy. Further study of these dilapidated buried structures revealed that the city of Troy was repeatedly attacked, destroyed and rebuilt before it was finally abandoned in the Byzantine era. Many attempts have been made to corroborate the events of the Trojan War as described in the Iliad and the archaeological evidence found at Troy, though not all of them have been successful. Atlantis is the famous mythical lost city mentioned in Plato’s works and unlike the other cities on this list, has not been found till now. Most historians and archaeologists agree that there is no such city. According to Plato, this city lies beyond the ‘Pillars of Hercules’ and got submerged in the Atlantic Ocean due to its hubris. The possible location of this city is speculated to be anywhere from the Mediterranean to the Atlantic and even the Antarctic Ocean. Like Troy, many hope that this city too will be found one day. These are the lost cities in the world. Do post your comments.